I got this lipstick free from Back to MAC. In the unlikely case that you haven’t heard that before, Back to MAC is the recycling program from MAC Cosmetics were you take back 6 empty containers and you get a free lipstick in return. MAC has so many different lipstick options it is exhausting. Every time I go in there for a lipstick, I end up spending a ridiculous amount of time. So I spent a good amount of time at the MAC counter swatching different lipsticks before I asked one of the makeup artists to point me to the lipstick that looks most like my all-time favourite lip pencil, Nightmoth; I was handed Instigator. Instigator fits MAC’s description of it being a 'deep blackened plum'. It is a such gorgeous purple shade. 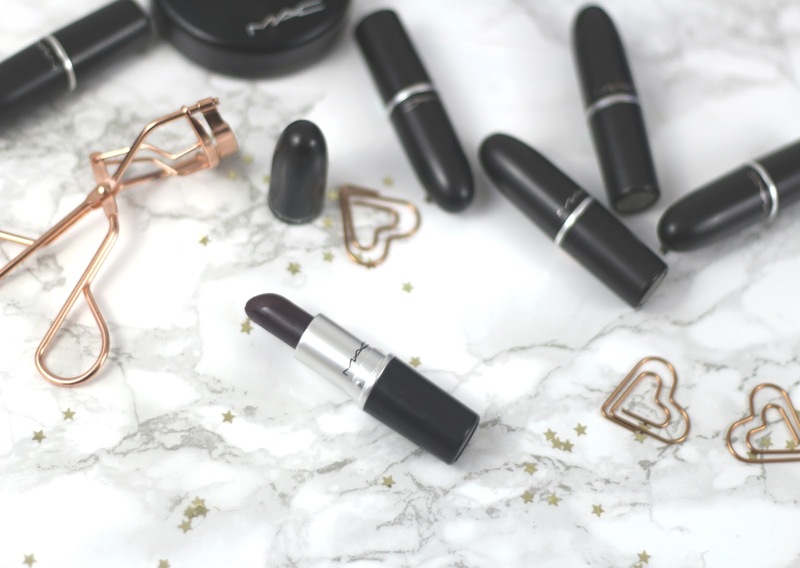 This lipstick meets up to the standard of MAC's lipstick with its high quality. This is a matte lipstick and if you own any matte lipsticks from MAC, then you know that their mattes are truly matte, however, Instigator has a bit of a sheen to it. I don't mind this as it makes for very easy application and the lipstick feels comfortable on the lips. It is such a creamy long-lasting lipstick and is not overly drying. Although it is a matte lipstick, it does not pull on the lips or apply on patchy. The pigmentation of this lipstick is extremely impressive. I have a few MAC lipsticks but this one went over and beyond my expectation in terms of pigmentation. In a single application, you have an extremely opaque coverage. I cannot speak enough about its amazing colour payoff. I would say this lipstick is not for the faint at heart. It gives an edgy look which I love. As you can see, Nightmoth lip pencil is a little darker than and not as purple as Instigator but it is quite close. 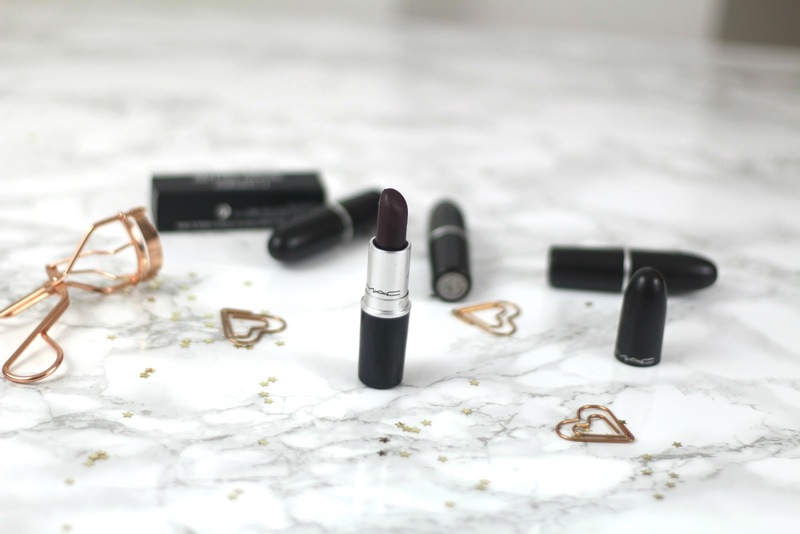 As a lover of a bold lip, Instigator is quickly becoming one of my favourite lipsticks. 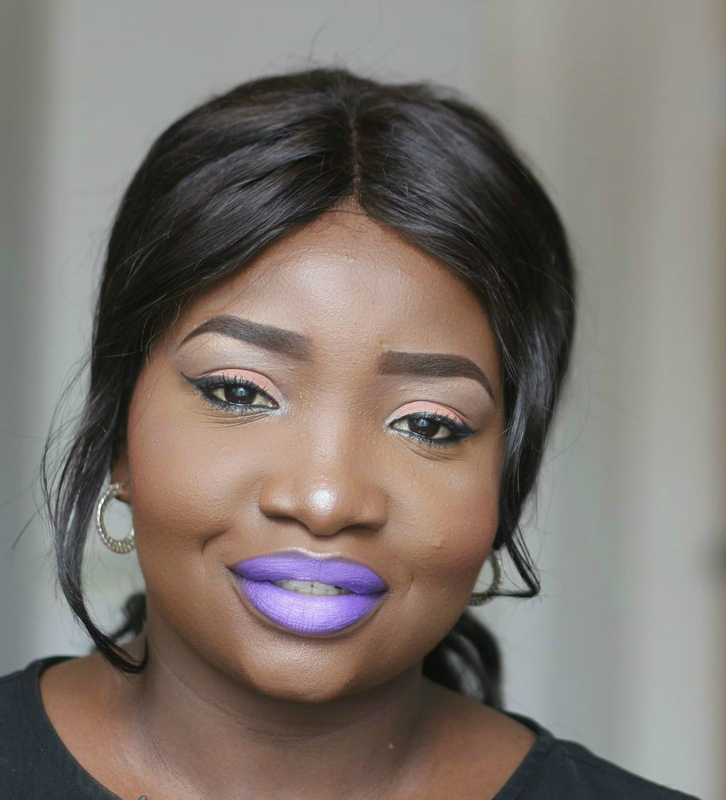 Instigator is such a comfortable matte lipstick with an amazing colour payoff. It is the only lipstick I am comfortable wearing without a lip pencil. If you follow me on Instagram, then you know I just turned 24; if you don't, you really should - find me here. As I get older, I reflect on my life, I think about the highs, the lows and the things I have learnt. My life hasn't ticked all the boxes on my imaginary to do list but I am extremely grateful for who I am, what I have and where I am. In honour of my birthday, I have complied a list of 24 things I have learnt in the past 24 years. 1. No one can truly prepare you for post uni life. 2. Your life will not go as planned so enjoy it. 4. This too shall pass. Nothing is permament. The good times won't last forever. Neither would the bad. 5. You are your best cheerleader so learn to cheer yourself up. 6. Your passion and job don't have to be one and the same thing. You can make an income to enjoy your passions. 7. No matter how much you love someone, you are capable of getting over them. 8. Be happy now...do not postdate your happiness. 9. You don't know what anyone is going through don't judge them and don't envy them. 10. Social media is one big rose coloured glass. What you see is not necessarily what you get. Don't envy anyone's edited life. 11. Don't change yourself because of anyone, they probably won't like you. 12. People treat you the way you let them. 13. You never really appreciate how much your parents do for you until you have to fend for yourself in the big, bad world, pay your own way and do laundry. 14. Loving yourself is one of the most important things you would have to do. 15. It's ok to laugh at yourself. Don't take yourself so seriously. 16. There is nothing wrong being single. Enjoy it. 17. Love. Real love is a choice. Not the feeling. 18. You might not be married at 23, that's ok too. 19. Don't let the negative committee in your head prevent you from following your dreams. 20. You can be in a crowded room and still be lonely. 21. Being alone and being lonely are two different things. 22. You are strong enough to handle whatever life throws you. 23. People you don't expect will probably let you down, forgive them. 24. Things are not always as they seem - the funny girl could be the most depressed, the introvert could be the most friendly and the one with the perfect looking life could commit suicide. What lesson has life thought you? This post has been in the works for some time now but last week, I was talking to a friend who is getting into makeup and trying to build herself a collection; she mentioned how expensive makeup is. So I decided to gather my thought together and finally complete this post. If you are building yourself a collection or just interested in saving money on makeup, then I hope you find this useful. I absolutely love a good sale, Superdrug seem to always be on one sale or the other. They sometimes have a 3 for 2 sale or buy 2 of a brand for a certain price. For instance, I was able to get a Sleek Cream Contour Kit and Sleek Eyeshadow palette on a deal for £10 instead of the full price of £20. Boots is also good for discounts. Debenhams also goes on sale every now and then, I have been able to get 10% off MAC items, which was great. The easiest way to save money, is to shop when there is a sale. If you are on the mailing list of a company, they can email you about product releases, free delivery offers and new deals. I get emails from MAC advising me of their new product launches, free delivery offers and every now and then, a deal to save money. Most recently, they had a lipstick and lip pencil deal where you get a MAC Lipstick and Lip Pencil for £24 as opposed to £28.50. Debenhams, Boots, House of Fraser and Superdrug have discount cards that you collect points on and either use to purchase or part purchase beauty products. In Debenhams, you get points every time the card is scanned and when you get up to 500 points, you get £5 off any beauty product. My Debenhams Beauty Card now has £5 on it so I can get £5 off my next purchase in MAC, Urban Decay, Makeup Forever etc. Boots gives you points but you can only spend what you have on your card, you can’t use it to get a discount but as a payment card. Boots and Superdrug often have items on clearance. My sister pointed out to me that our local Boots had NYX items on clearance, I was able to get a Lip Lingerie for £3.25 as opposed to £6.50, the NYX lip cream I got was £3 and not £5.50. You can also get damaged products at a reduced price. I got an MUA eyeshadow (rrp £4) for 90p because an eyeshadow was broken. So far, I have not missed that eyeshadow. High Street brands are really stepping up their game. You'd be surprised the great items you can find if you only take the time to look. 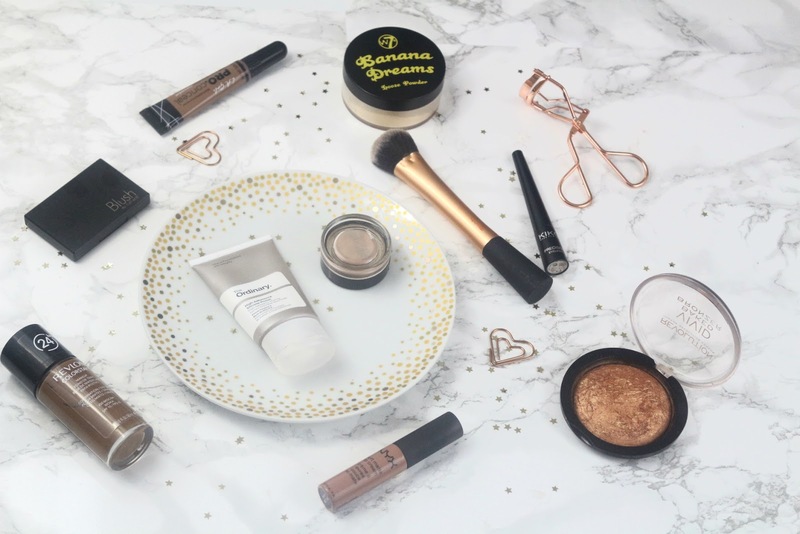 You can build your collection majorly on drug store makeup. You can even get some great dupes for high end makeup. Brands like Makeup Revolution are seriously coming for high end brands. I think Makeup Revolution is going to dupe all the popular high end items, they have dupes for the Urban Decay Naked palettes, MAC Mineralise skin finish and so on. I always shop around for clothes, food, shoes; why not makeup as well. In my shopping around, I found that Debenhams beauty card has a much better deal than House of Fraser. In Debenhams, I only have to spend £170 on beauty items to get £5on my Beauty Card but I have to spend £500 in House of Fraser to get £5 on the card. Best believe Debenhams has my patronage. In the same vain, I noticed that Superdrug sells the Real Techniques brushes about £1 less than Boots, it’s not a lot but every little helps. PS Debenhams is giving a £5 off voucher when you spend £30 on beauty products. 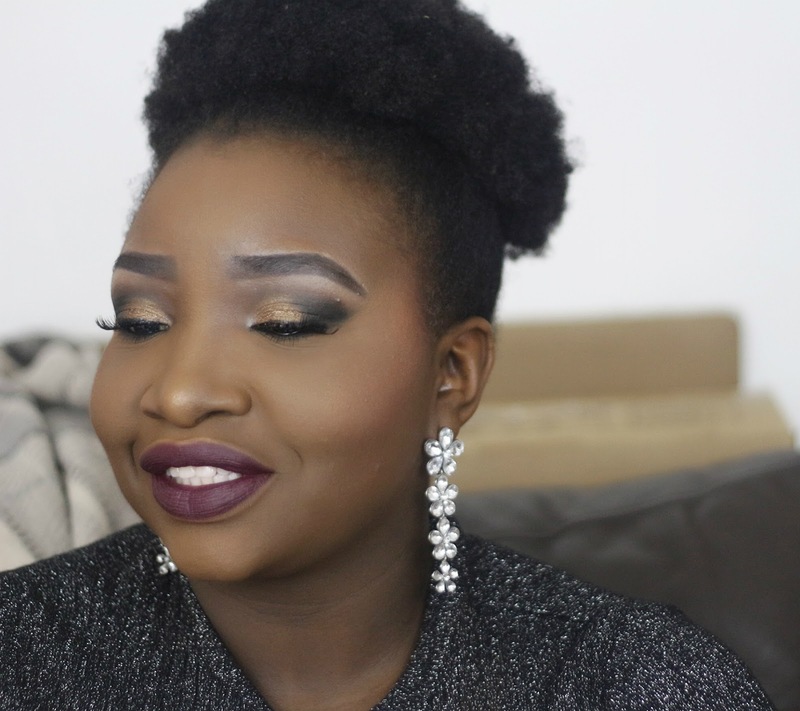 What are some of your favourite tips to save money on makeup? This is the best foundation I have tried from the drugstore. Boots and Superdrug sell this foundation but don’t sell the darkest shades which is absolutely annoying (rant for another day). I purchase this foundation from eBay and always get it for between £5 and £7. The Revlon Colorstay foundation reminds me of my MAC Studio Fix Fluid. It has a matte finish with an amazing buildable coverage. It is very long lasting and never looks cakey on. This foundation performs as well as my High End ones for a fraction of the price. If you have been around for some time, then you have probably heard about this concealer. The LA Girl Pro Concealers are just amazing. It cover blemishes perfectly without caking into the pores. This concealer is very creamy and works well to hide problem areas. I have to say the best thing about this concealer is the amazing shade range at its price. When Gossmakeupartist rates a product, I have no choice but to believe him. When he did a video about a £3.90 primer for oily skin, I decided I had to have it. This primer is changing my oily skin life. Although it is a silicone primer, it has a creamy texture as opposed to this siliconey feel (for lack of a better word) that silicone primers usually have.This primer blurs pores out of sight and creates a beautiful canvas for foundation to go over. 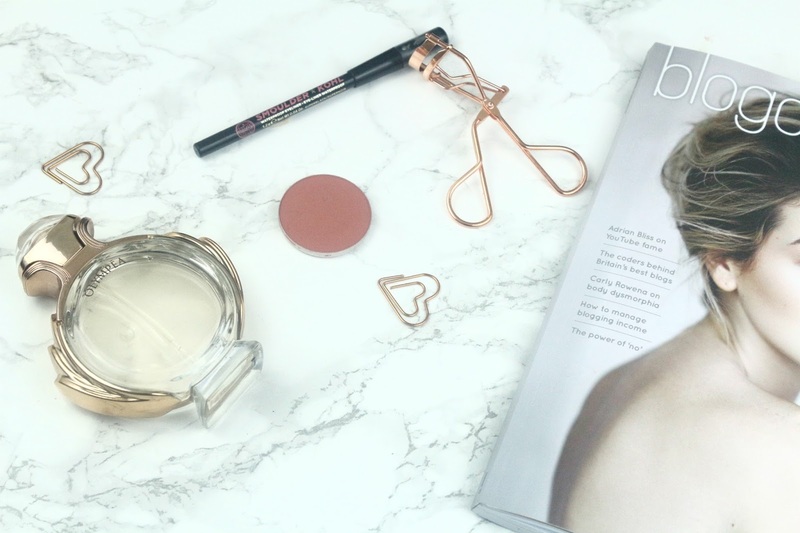 This loose powder was featured in my January favourites. It is a finely milled powder which controls oil without giving a cakey appearance. This banana powder does not leave a chalky appearance on the skin. It works perfectly for setting under eye concealer without creasing or looking ashy. If you read my Low End Highlighters post, then you would have seen me mention this amazing bronzer. 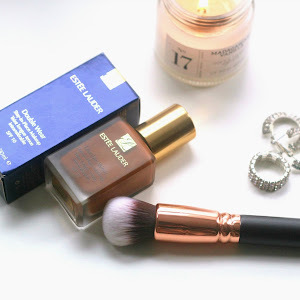 This baked bronzer is the perfect highlighter for my mocha skin. Rock on World is so pigmented, I can't even explain. It looks great on and is extremely long wearing. The golden tone gives such a great sunkissed glow. I am not big on winged liner because I have the most unsteady hands. But the KIko eye liner is amazing for when I want to channel my inner Amy Winehouse. The liner has the ability to draw a black precise line without smudging and it has amazing staying power. This highly pigmented eyeliner dries quickly to a lovely matte black. I cannot rave about this blush enough. It is a matte orangey brown shade. Sleek Sahara is the perfect blush for me, it warms up my face and add the perfect natural flush of colour to my cheeks. It just seems to go with every look. I also love using Sahara as a crease colour. I don't think you can go wrong with this £5 blush. No matter how many foundation brushes I fall in love with, I always come back to loving Real Techniques Expert Face Brush. This brush is a dream come true. My post cannot be complete without mentioning a great lip product. 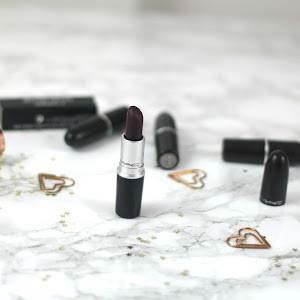 These are a must have for lipstick lovers out there. They have a unique texture. It is extremely soft, glides on smoothly and easy to apply but they dry matte. My favourite shades are London, Monte Carlo and Havana. Color Tattoo is a highly pigmented cream eyeshadow. They have amazing power and do not crease. They are creamy making it easy to apply them. They are very versatile and can be used as either base, eyeshadow or eyeliner. I use the Color Tattoos as a base for my eyeshadows and they increase the colour payoff of eyeshadows. My favourite is shade Crème Rose. It works as a perfect base for any eyeshadow shade. 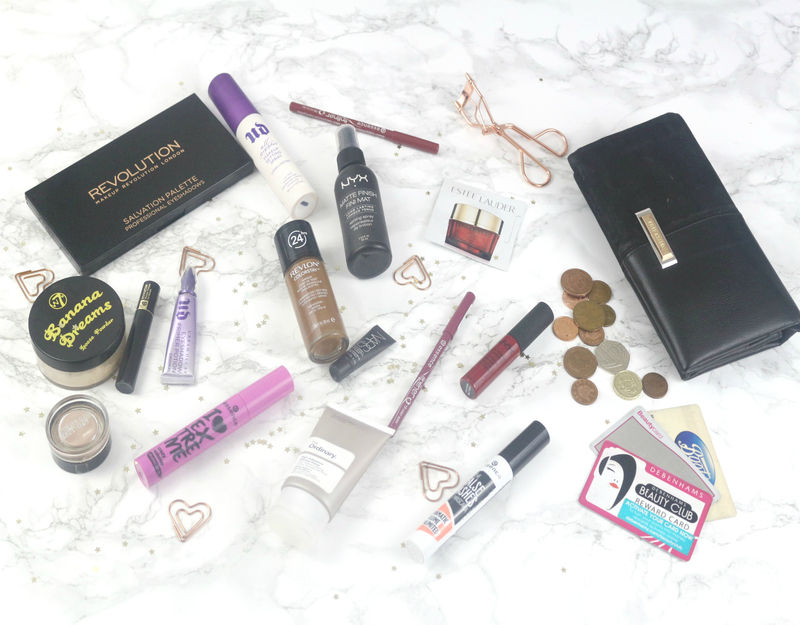 What are your favourite beauty products for under £10? 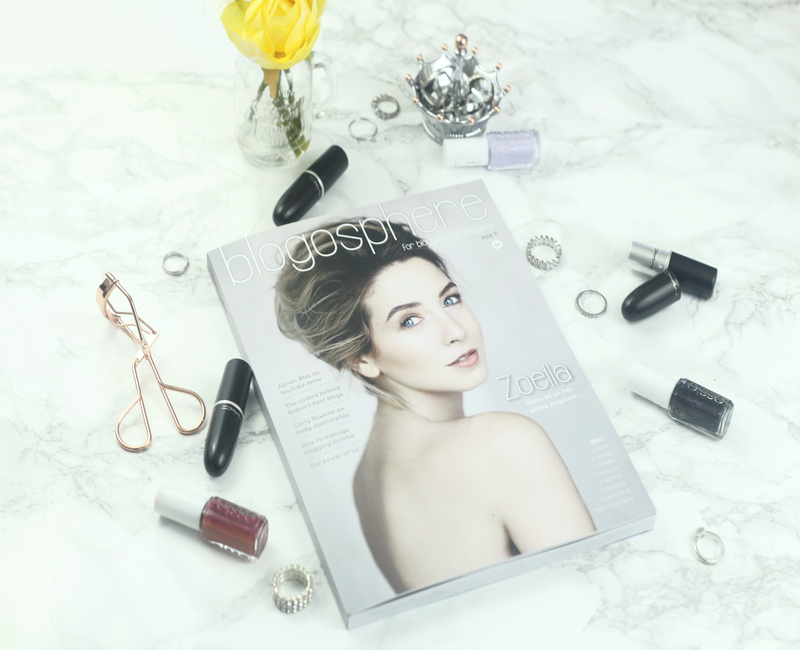 Prior to blogging, I read a few blogs and spent countless hours on Instagram but I was oblivious to the trends among bloggers. 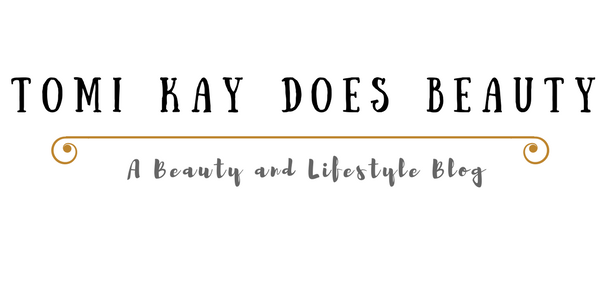 Since joining the blogging scene, I have read a whole lot of blogs, followed Instagram pages and I have noticed a few similarities among bloggers, cliches one may call them. I have decided to share them. 13. Flowers - Who knew Peonies were so photogenic? 22. 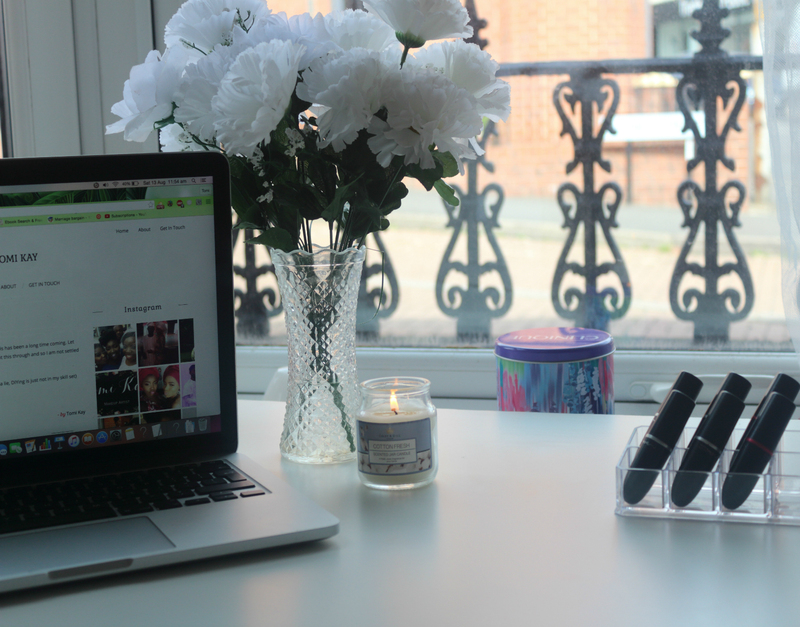 White, minimalist blog - Because all that colour is too distracting. 24. Tea/ Coffee shots - Do you drink the tea after you post on Instagram? Or was the coffee never hot to begin with? 25. Macaroons - Are they ever eaten or just to be double clicked on Instagram? This was a fun post for me to write and I hope you enjoy it. I am guilty of 14 cliches and counting because we never know, I may decide to visit the home section of H&M. Have you noticed any of these cliches? Which ones are you guilty of?